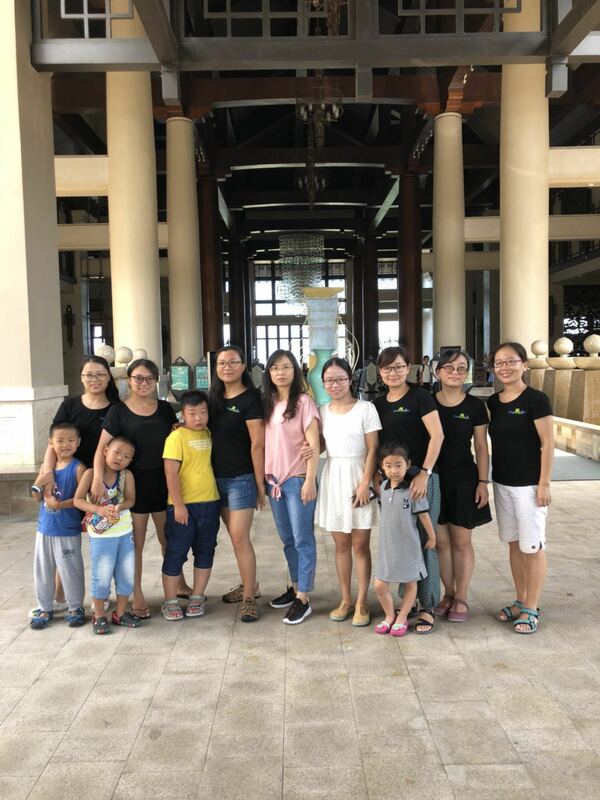 This summer our staff with their families had a trip to Hainan Island, divided in two groups. Another group is on their trip in Xinjiang right now. 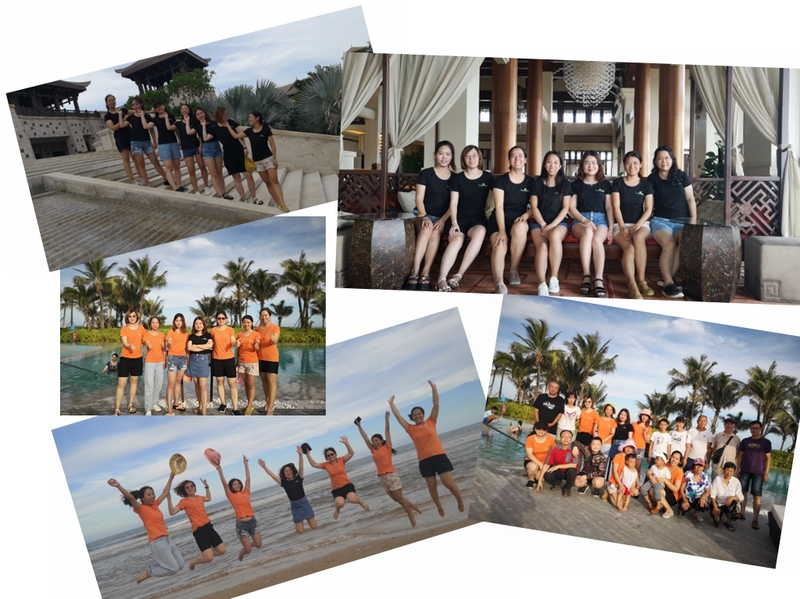 Answer: Hainan is more than Sanya. 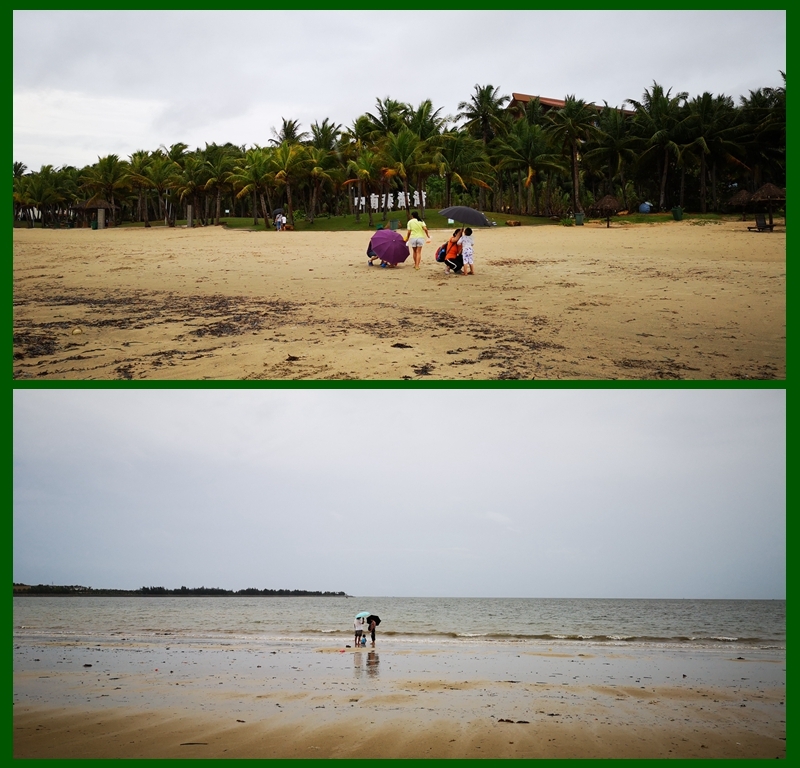 We do stay at the seaside of different bays for all nights except for Haikou but they are all different. And mind you, Haikou is the capital city and is well worth visiting! Doubt 2: Hainan is hot! Answer: Surprisingly, most of the time, it is cooler than popular cities like Beijing, Xi’an, Yangshuo etc. It is especially cool in the Eastside of the island and during all mornings and evenings. It is hot in Sanya and the Westside of the island when there is sunshine but not hotter than Beijing. The annual average temperature of Hainan is 22.5-25.6C. Doubt 3: But there are so many tourists in Hainan! Answer: The high season for Hainan tourism is Oct till March. Rest of the time? Low season. The seashores we stayed at were opposite crowded. 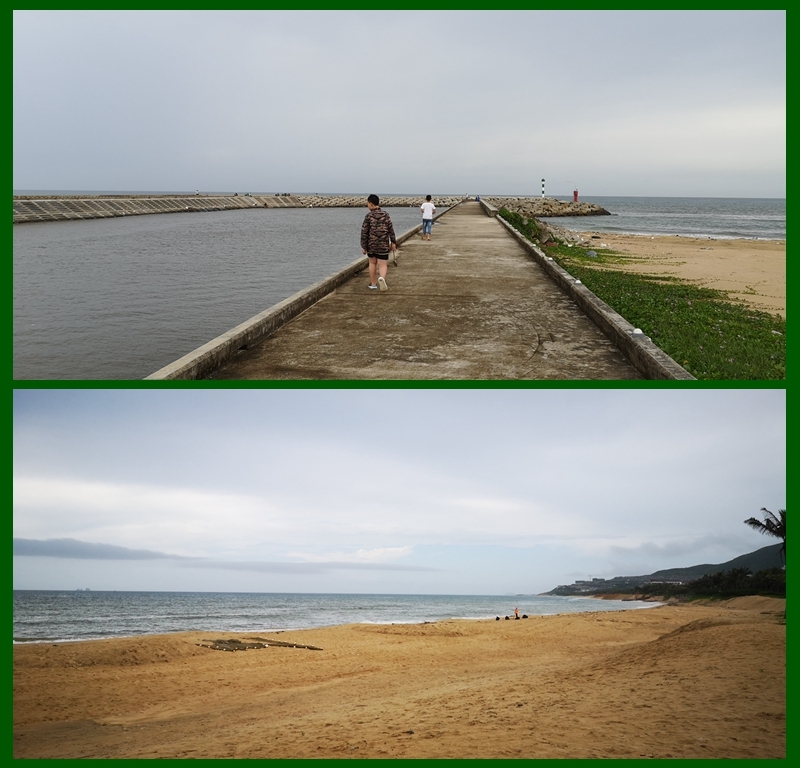 Sanya has more visitors but still, the beach is not crowded at all. Officially the low season is from May till Sep when the entrance fees are lower. Doubt 4: Is it easy to go there? Answer: There are flights to Sanya and Haikou from all major cities in China and you can fly international too via connecting flights. According to Xinhuanet, More direct flights are planned to countries with visa-free access. Hainan already has 57 international flights to countries including Germany, Malaysia and Thailand, with plans for at least 16 new overseas routes this year. It aims to have at least 100 overseas routes by 2020. The most appealing: Hainan offers visa-free access for tourists from 59 countries from May 1, 2018. China visa is a headache for most people and now this is a big encouragement for people who don’t want to go through it and wish to come to China. So here we go to have a look at our trip! I will introduce the hotels quite briefly since I don’t want to make it too long. 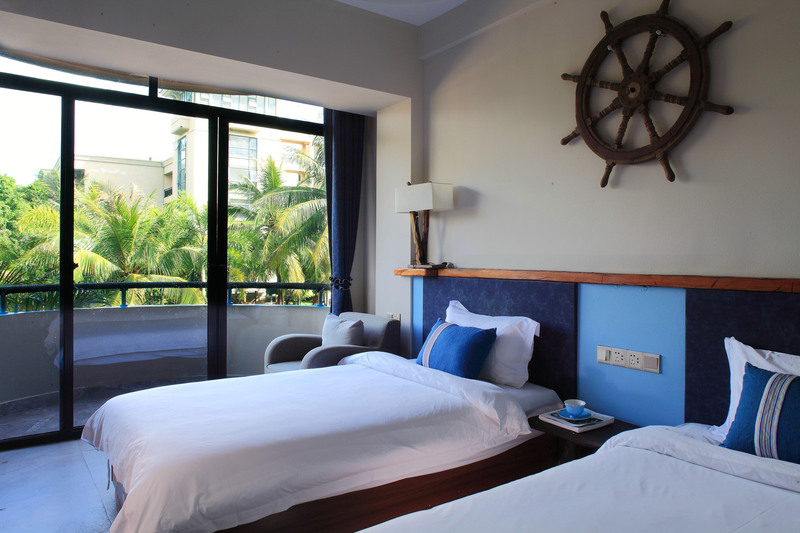 All hotels except Haikou are located at the seaside, has free wifi, nice breakfast and swimming pools. Haikou is right at the city center with no swimming pool. It is about one hour drive from Haikou airport. The beach is a bit secluded, not many people there. The water is not very clear and the sand is a bit muddy. Not the ideal place for a beach experience but we still had some fun spotting some sea creatures during day time and having very quiet time observing the sea and sky at night. The breeze at the beach is very enjoyable. The hotel has huge rooms, huge lobby, huge public places. The facilities are quite new. But since this area has more rain, the bed linen is a little damp. 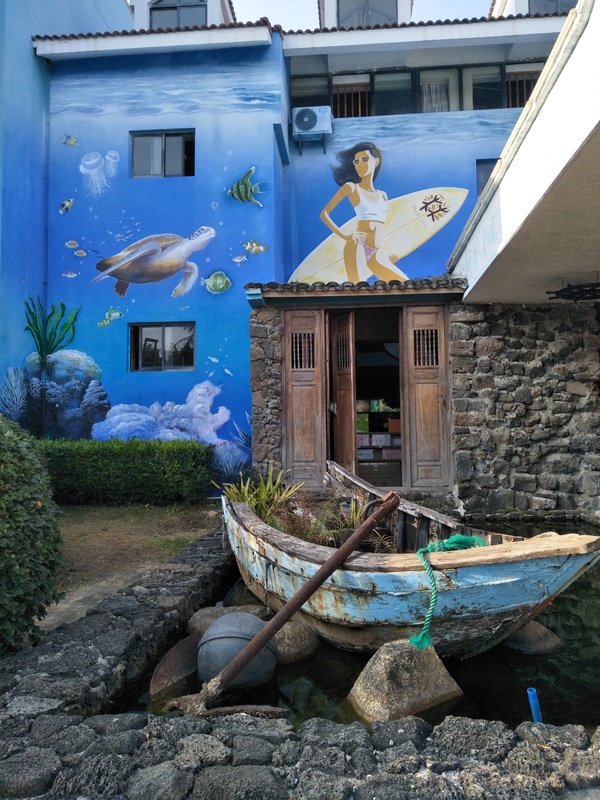 It is several minutes walk to the sea and there are some shops nearby. 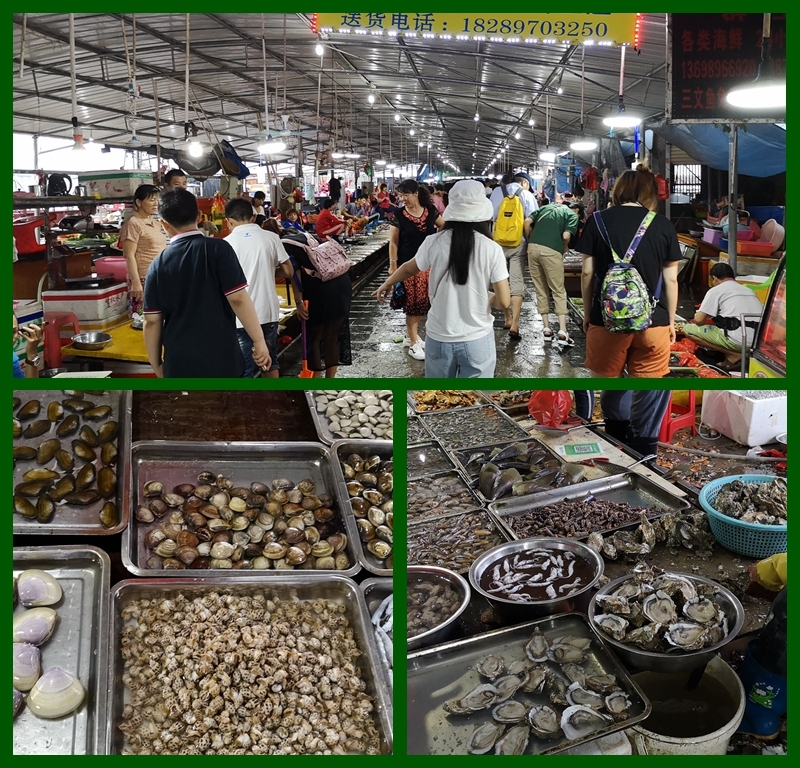 It is about 10 minutes by taxi to the Huanqiu Harbor where we see a great diversity of sea creatures. You buy the live ones and take them to the nearby restaurants for cooking. Very impressive sea food feast. It is about 2.5 hours drive from Wenchang. 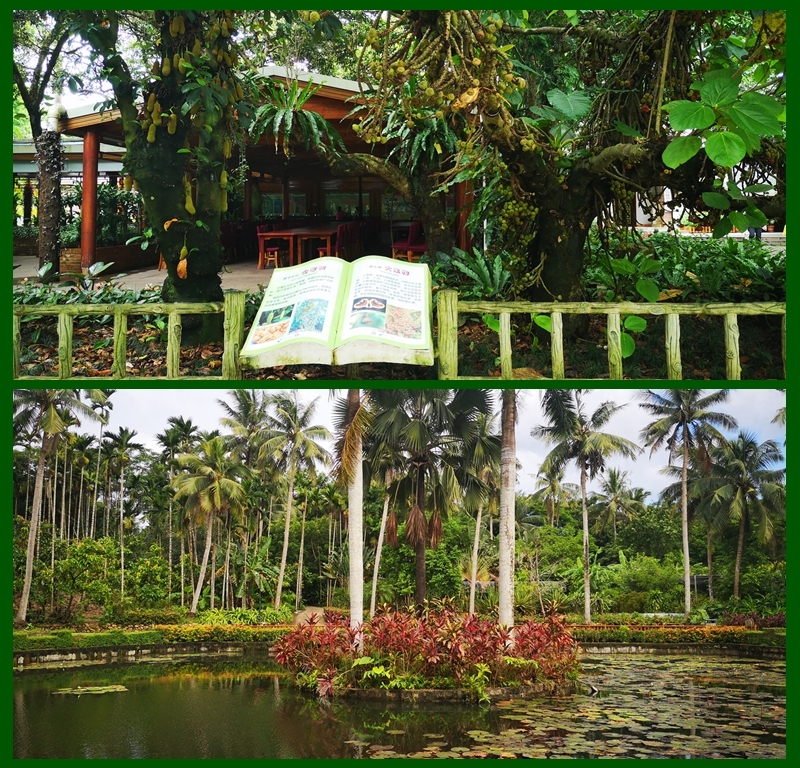 It is a good place to see many kinds of tropical plants here. With the free coupon provided, you can have a taste of 4 different drinks at their drink tasting area. You can also make your o chocolate here which takes about half hour, at a cost of CNY98. Depending on your interest, you can stay 1-2 hours here. About 3 hours drive from Wenchang in the south. 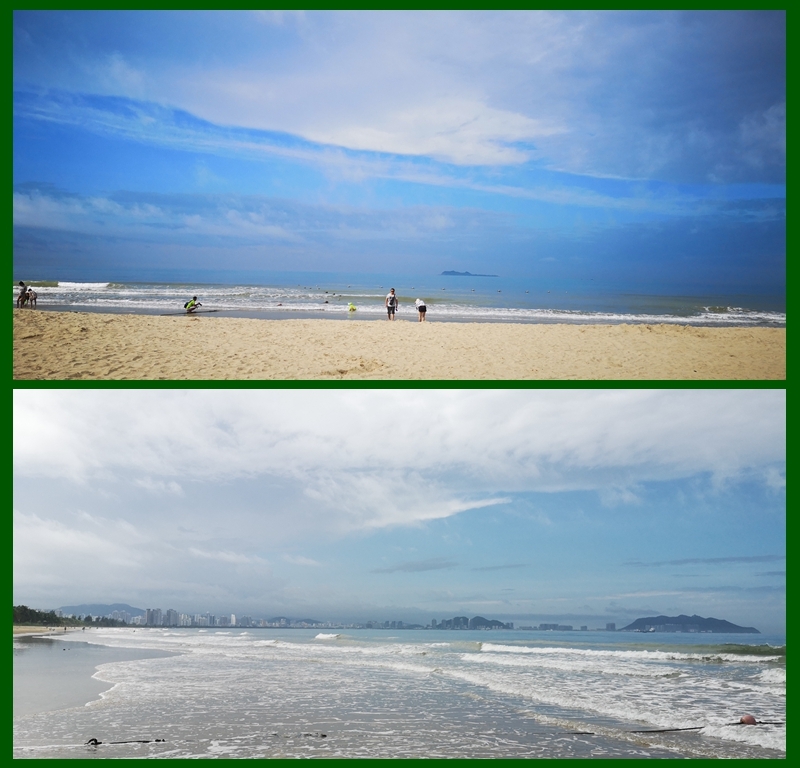 Same quiet and cool as Wenchang but with better sea water and sands. We saw a big round moon rising from the sea little by little. There are not many local restaurant choices here. Some eat at the hotel, some order food delivery(Surprise!). Beautiful architecture design with a grand view of the many swimming pools and sea from the lobby. 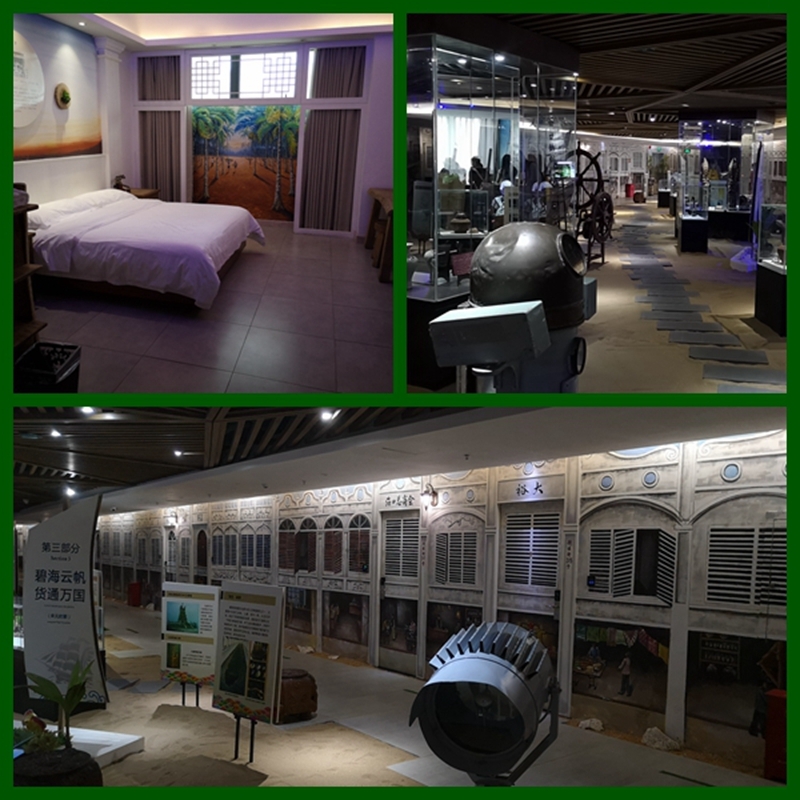 Facilities are less new than Wenchang but linen is dry(starting from Xiangshui Bay, all hotels have dry linen). Very direct access to the beach with some sun loungers. It is about 2.5 hours drive from Wenchang, half hour north of Xiangshui Bay. Compared with Sanya and other bays in Hainan , Riyue Bay has its own unique features. The sea there is blue and clear, and the beach is white and soft. It has been named "one of the top ten surfing bases in the world" by the fashion magazines. 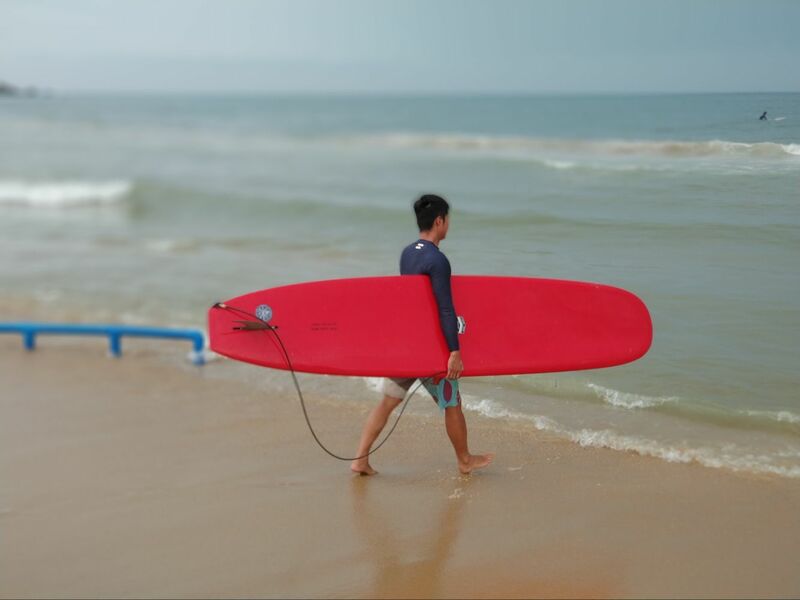 The waves here are very high and suitable for surfing, so it has become the host of some major surfing competitions in Hainan. 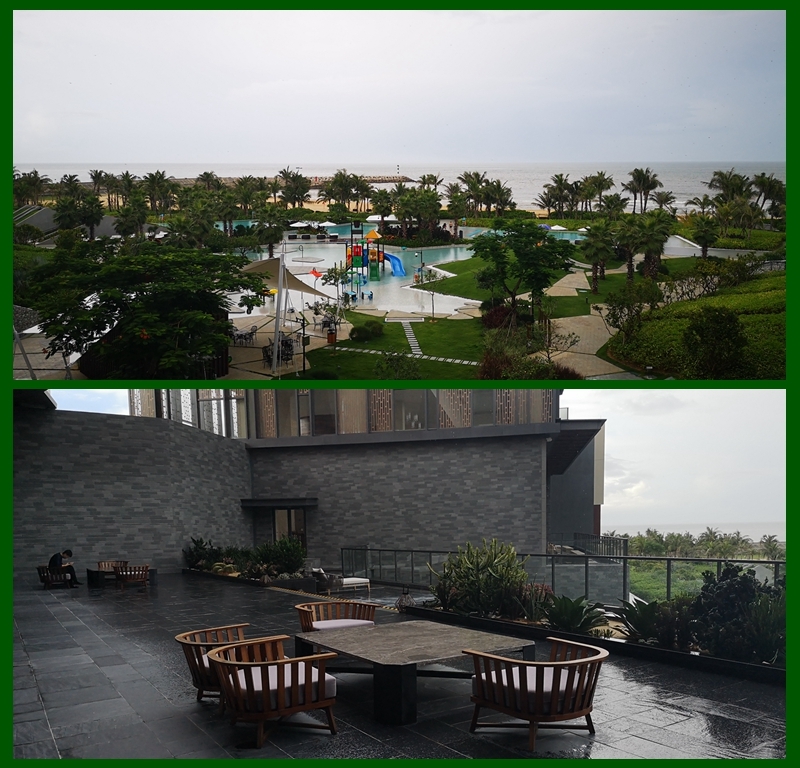 This is a hotel with a lot of Hainan elements, the service here is very good. 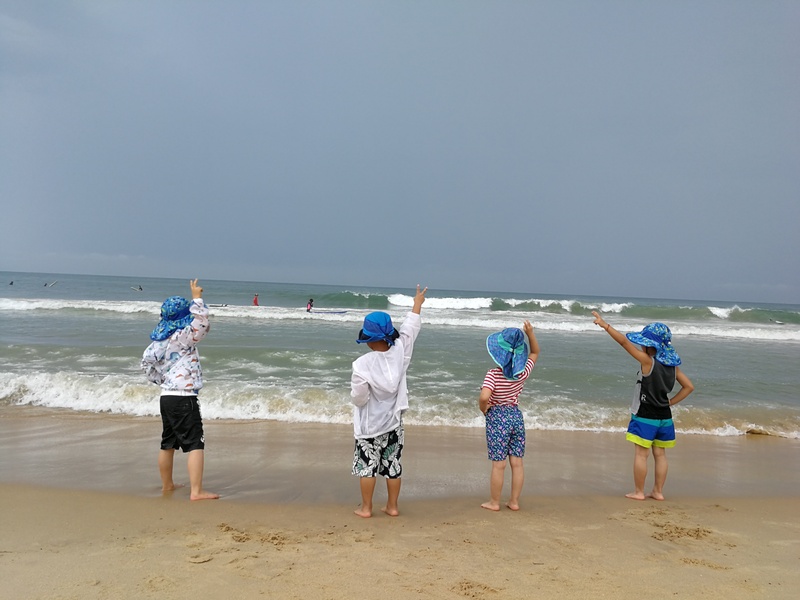 In the evening our children were organized to go to the beach to catch crabs, which was very surprised and funny. This area is much more developed than 10 years ago, very lively and convenient, with many restaurants. Yet you don’t feel noisy or crowded. 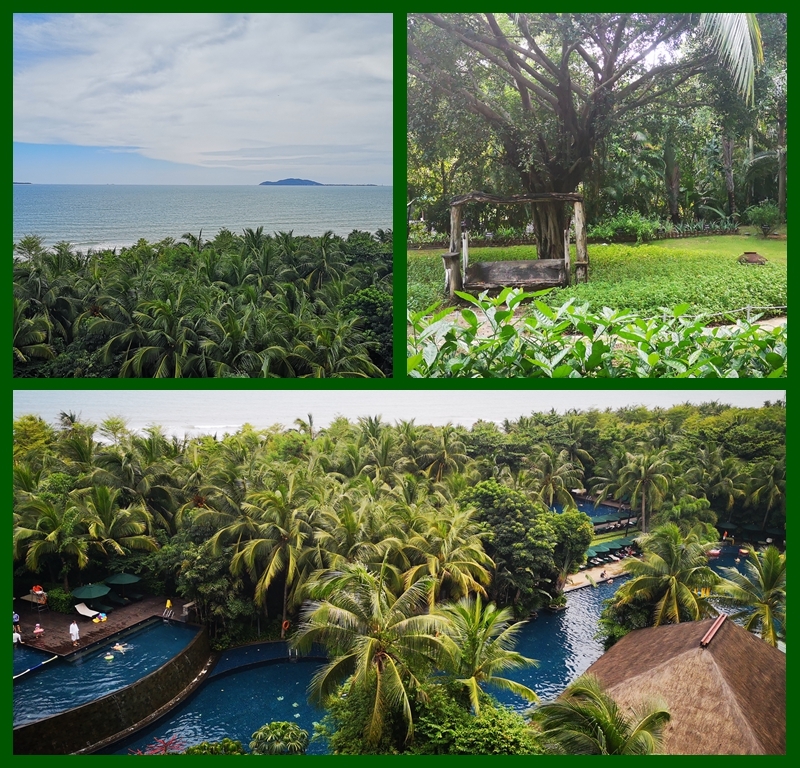 It is a 22km long beach with a wide coastal road flanked by many coconut trees all the way. The beach here is the beach we have in mind: very blue sky, clear water, fine sands, very hot during day time but cool in the morning and evening. My son likes this bay the best because he collected a lot of shells. Despite the closeness to the city, we can still see many stars at night. Very popular hotel with good service. Here we see quite a few foreigners. From the many choices of yogurt and cheese at breakfast, we can also conclude that they have no problem catering to foreigners. 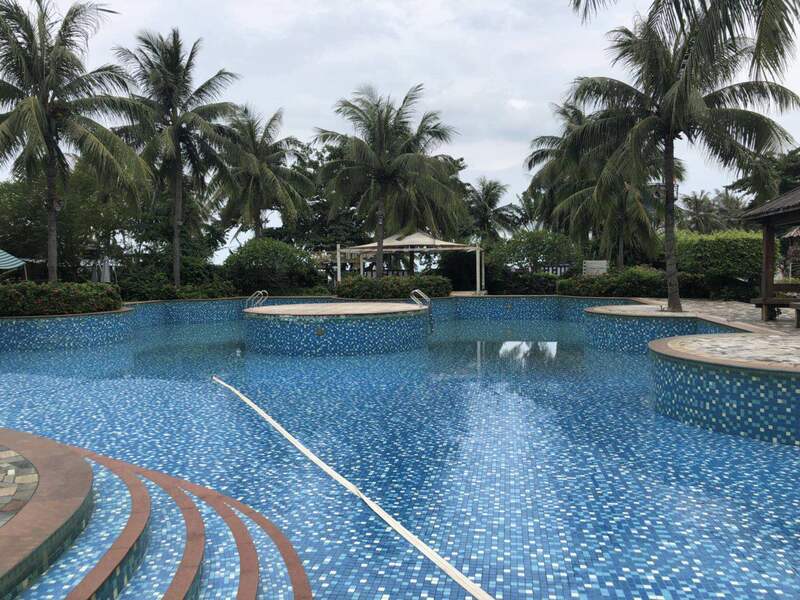 The facilities are a bit worn out and not as clean as other hotels which is understandable since definitely more visitors come to Sanya. 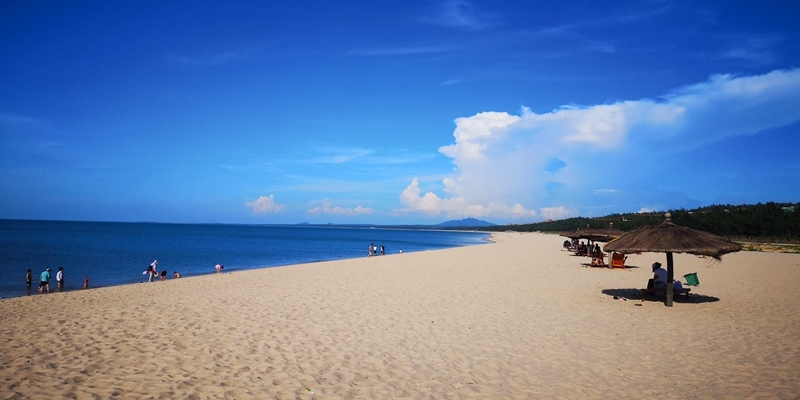 Situated at the west coast of Hainan, which is the most arid area of Hainan, this bay feels more like a desert area. You can actually see cactus on some parts of the shore! The special thing about this Bay is there are many rocks of various shapes at the seaside. At the shore where we stayed overnight, the waves are quite strong and you are not supposed to swim there. But some of us found some interesting sea creatures here. 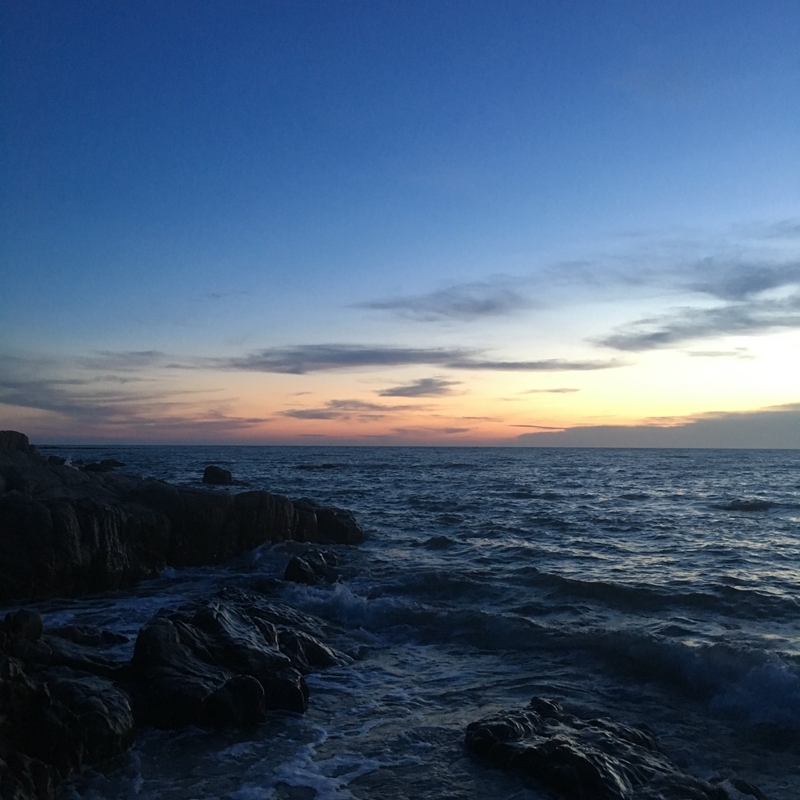 In the evening, staring at the sea, the rocks and the falling sun, what would come into your mind? This is the best place to watch stars. It has been many years since I watched a sky full of shining stars. Nothing in mind but amazed by the wonder of the universe. Yes, a resort hotel for relaxation. Grand architecture with a palace like lobby, numerous big rooms with good facilities. 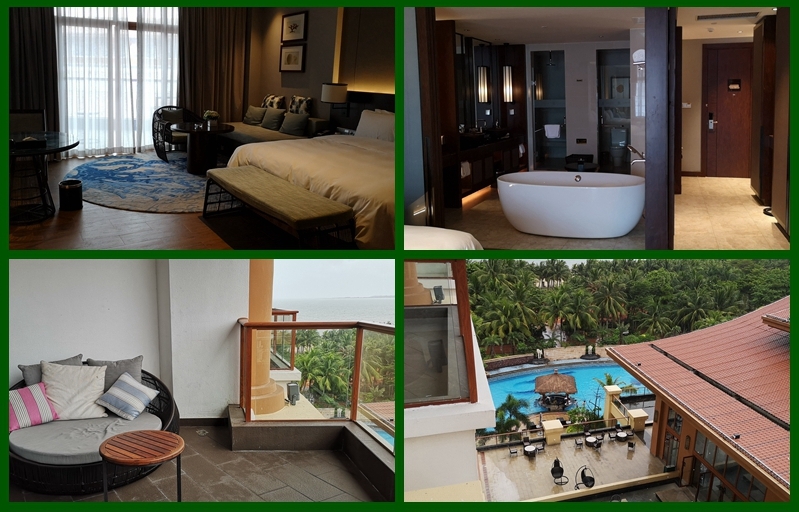 There is nothing around this hotel but you can have much fun in the hotel itself. For those with kids, it is a nice place. 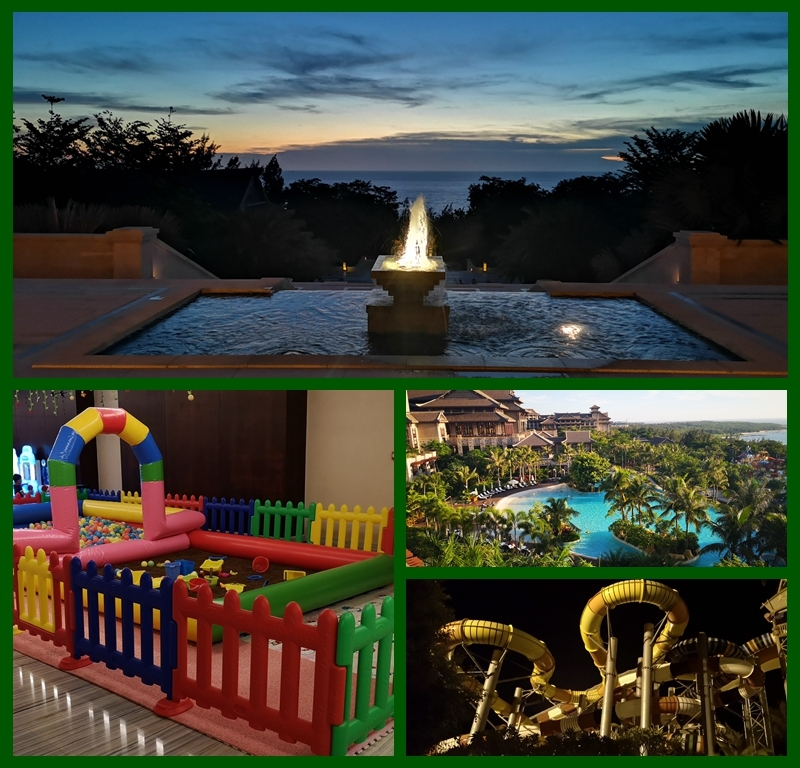 There are indoor play grounds, outdoor water parks to play and relax. There is a long wooden walkway connecting the hotel and the seaside. It seems no people other than the hotel guests come to this part of the seaside. It is 2km north of New Century Resort hotel. In contrast, this beach is a postcard beach. Very serene, without waves, clear water and dry and fine sands. After you walk out of the water and the sands, your feet and shoes get immediately dry and the sands completely get shaken off. But it is the most desert like place during the whole trip. Very hot. It is a very lively city with its own feature. I didn’t expect there to be a whole area consisting of nice old buildings which are still in use. 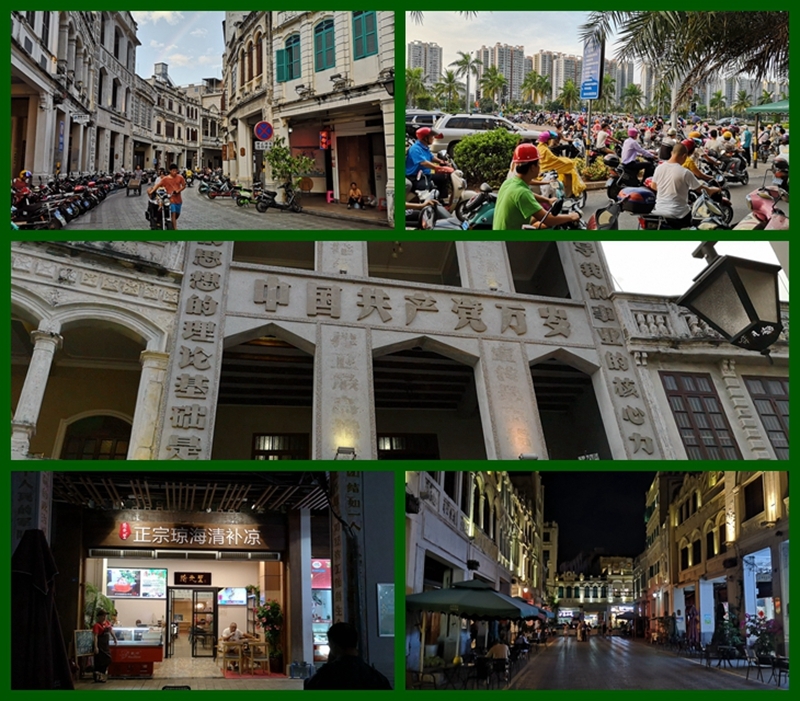 The Qilou Old Streets(Arcaded Streets) of Haikou, mainly built during the early 20th century, was announced as one of the first Top 10 “China's Famous Historical and Cultural Streets" in 2009. There are so many nice restaurants here and we wish we could eat more. You can also find many local products to take as a gift for your families and friends. The amount of e-bikes on the street is phenomenal, even more than Zhengzhou City. Haha. Located right in the Qilou Old Street area, it has a strong historical feature which brings back to the early 20th centure. The furniture are made of solid wood which feels cozy and stable. Breakfast is at a nearby restaurant including some local food like porridge and custard buns. 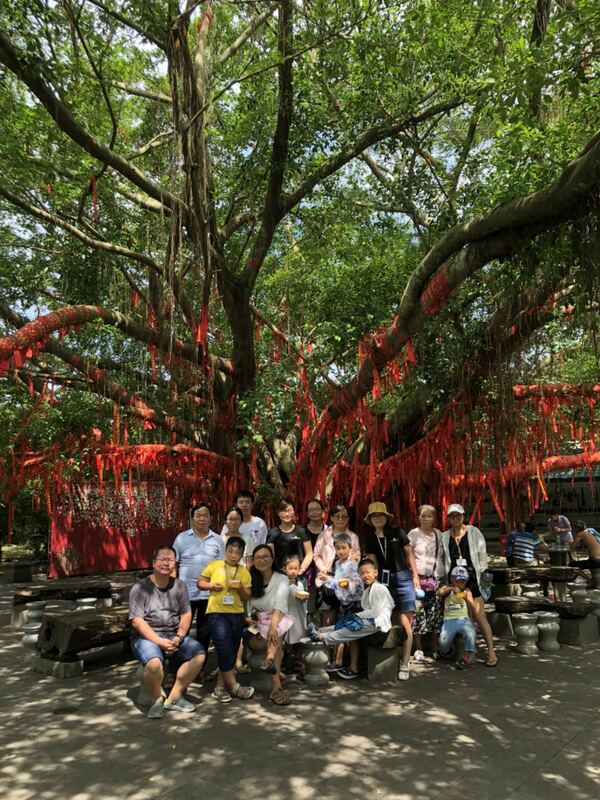 We also visited several other places on the way, such as the Boundary Island, Haiwei Wetland Park, Ancient Salt Field, Dongpo Academy and Feng Xiaogang Film Commune which may be of less interest for non-Chinese people so I am going to skip the details. Overall, we enjoyed all the places visited. Actually the trip is not enough for us to know Hainan well. There are many other places that we have not been to. As told by our local partner, some villages and mountains which are not by the sea are worth visiting and more adventurous. On the way from place to place, we had a glimpse of Hainan’s inland landscape, lush and mountainous! The 3 of us had the privilege to have a one day exploration into the mountains guided by an official from Changjiang Tourism Committee. Will give a briefing in another article.